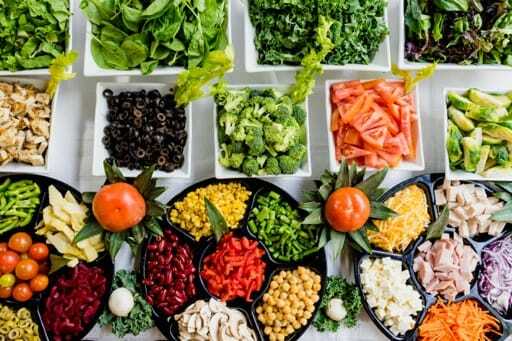 Diet and nutrition are things that we know can affect our overall health, but can a good diet and balanced nutrition also help in protecting your eye health? The short answer: yes. More specifically however, there are key nutrients that come with eating a balanced diet that play directly into eye health. An unhealthy diet, one that doesn’t include a good amount of fresh fruits and vegetables and is high in processed sugars and fats can weaken your body’s ability to ward of a whole host of illnesses, including diseases that can affect your eyes, like diabetes and cataracts. We’ve touched on some of the vitamins and minerals in past blogs, but in this blog we’re going to look at those a little closer and offer realistic ways to incorporate them into your lifestyle. A few of the important nutrients to eye health include antioxidants, lutein, vitamin A, omega-3 fatty acids and vitamin C. The easiest way to include antioxidants in your diet is to eat dark leafy greens (spinach, kale, chard) and berries (blueberries, raspberries, goji berries). Kale and spinach are also great for including more lutein in your diet to promote eye health. Fruits like oranges, grapefruits and kiwis can provide large amounts of vitamin C, while veggies like carrots and sweet potatoes can help you get the vitamin A you need. Including more fruits and vegetables in your diet in general can help protect your eye health, but those are some specific ones that pack a real punch for vitamins and antioxidants. Omeg-3 fatty acids can be found in a number of foods, but some of the easiest ways to get it is by eating walnuts and cooking with canola oil, or even taking a flaxseed oil supplement. When your diet is nutrient dense, and your lifestyle healthy and balanced, your body is able to work optimally to protect the health of your entire body, including your eyes. Insuring your diet is beneficial for your eye health (and whole-body health!) is the best way to lower your risk for illness and disease. If you wish to discuss in more detail about how your diet can help protect your eye health, you can reach Valley Eyecare Center at 602-955-2700 or by scheduling an appointment online.